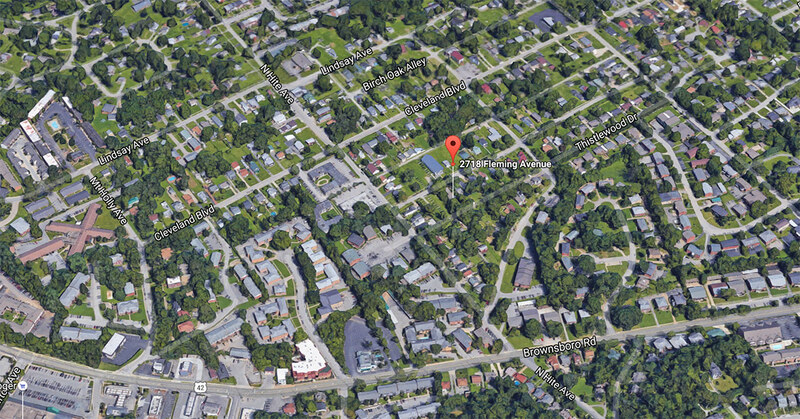 A wrecking permit (WR994253) has been requested for a house at 2718 Fleming Avenue in Clifton Heights near the intersection of North Hite Avenue. The 1,314-square-foot shotgun house sits on a 0.17-acre lot and is listed as built in 1910. The property last sold in June 2015 for $45,100. According to listing photos, the house needed some work. The house is owned by Vaughan Enterprises, LLC, which, according to the Secretary of State, was organized by Benjamin Gordon Vaughan in 2011.